TW: I swear a lot in this article. 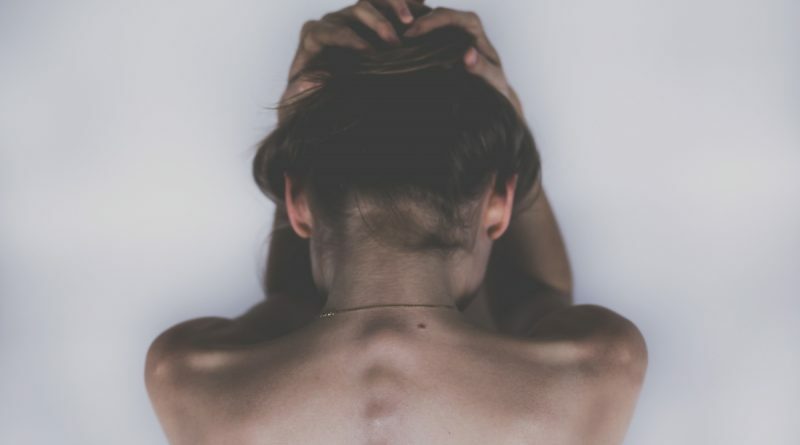 What do you do when your partner is having a panic attack or a depressive episode? It can be really scary and super frustrating watching someone you love go through an episode, especially if you don’t know how to be helpful. 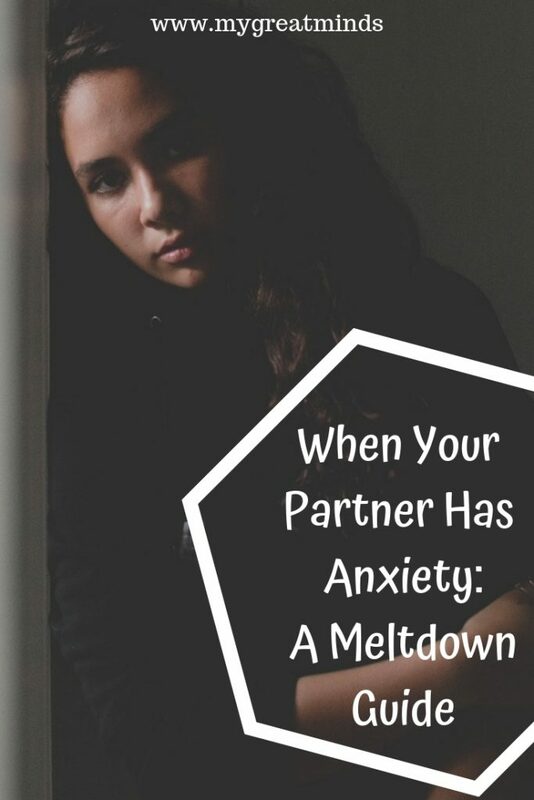 This Meltdown Guide was created to help those of you who are in love with people who struggle with anxiety and depression to feel like you can be helpful when your partner seems to be spiraling. Mental illness can be rough on any relationship, and it is truly no one’s fault. You do not have a responsibility to be super human and protect your partner from every little thing, including themselves. And it’s not your partner’s fault that they are struggling. This guide was created to inspire those of you with anxiety and depression to communicate with your partner about what you need when you are spiraling, while you are in a better place. Please take, leave, amend, and rip this list off to create a guide of what you think might work for you. Adapt it over time, and make sure to talk about it with your partner and make it available to them when needed. So, your partner is having a meltdown. Don’t worry, I’ve got your back. Stick to the following guide, and they will calm their sh*t in no time. The rewards will be tremendous, and you will be rolling in the perks that come with a grateful and calm partner if you just follow these simple steps to helping them keep their f*cking cool. It is important to understand that because of the neurological connections in your partner’s brain, that have been fired consistently, maybe for their entire life, your partner may respond to stress by exhibiting symptoms of PTSD. Think of this reaction as akin to hiding in a bomb shelter: They can’t live in there forever but it is safe. It is protection from a real or imagined threat or stressor on the outside. It allows one to periodically peer out through the periscope, assess the situation and deal with it in pieces. It also makes it very hard to make real decisions or take real actions. In these situations, think of your relationship as the ground that the bomb shelter is built in and surrounded by. If you fall away or retreat, it often will make your partner feel exposed or threatened. The threat has nothing at all to do with the surrounding earth, but the emotions and actions that are a reaction to the actual threat, are played out within the earth. Under no circumstances are you, the stable bedrock, responsible or accountable for the stress occurring above. You are an innocent third party. If you assume responsibility, then you embody the threat. It is like the earth that surrounds the bomb shelter falling inward and crushing the bomb shelter. Everybody dies. That’s no good. Depression, anxiety, and panic attacks should be treated with the same mindset as someone who has just been launched off their bike into a gravel pit. It hurts, and it’s gross and can be a bit frightening, but it will pass, wounds will heal, and it’s not a big deal, except for right when it is happening. Getting upset about it does not make it go away. It has already happened, and now it is time to take care of business. Get your partner to a safe space, and start wiping up the blood and picking out the gravel. No matter whether you are with your partner or not at the moment of crisis, these five tips will help get you both through it. DO remain calm. You are a f*cking champion. This skill and these experiences will help you in every relationship, intimate or otherwise, that you will ever have, for the rest of your life. Don’t ask them to make decisions. They may be incapable of making any at all. Whether it is deciding if they want to go to bed, what they want for dinner, or if they want a glass of water, assume all decision-making faculties have been thrown out the window. DO take control. This can mean telling them to brush her teeth, put on pajamas, take a shower, eat their dinner, etc. Taking off the pressure of having to make decisions and having the foresight to complete simple tasks like plugging in their phone is HUGE. Don’t assume they can ask for what they need in that moment. Also, don’t assume you have to be a mind reader. You don’t, just try your best. You know your partner. DO try the proximal and non-proximal suggestions below if you are unsure of your next step. Disclaimer: Always ask for consent when touching a person who is having a panic attack. They may not be able to answer fully, but be aware of their body language and the subtle cues that they don’t like what you are doing, or that touching them is making it worse. When touching, I find that skin to skin is best, face to face. Alternate between whole-body holding/constricting and light back circles with head petting. Blankets in a quiet, warm, and relatively low-lit atmosphere can be soothing. Platonic-ish kissing is good but mostly appreciated on the forehead, head, and upper back and upper arms. Neck kissing is too sensitive and sticking your tongue in their mouth will be overwhelming and inappropriate. Keep your voice low, either quiet or whispering. Extra special holding technique: Cradling in any form is exceptional; particularly if it allows the one doing the cradling the ability to whisper, rock back and forth in some way, and allows for gentle stroking or petting of the non-sexual variety. Think holding a baby. Distractions can be good once the initial episode is over and it is time to recover. Music may be too emotionally triggering. I find cartoons are best. Do not f*cking fall asleep. They will hate you forever. Tell them about your day, or a mundane topic. Dumb facts about penguins or elephants work here. Do not expect a high level of participation but they are listening, and they do care. This is super helpful and can be very soothing. Start with a glass of water, and if that is good, move to warm beverages – NOT alcoholic, or super creamy or sugary. Make sure they have eaten in the last 3-5 hours. You can’t always be there when the sh*t hits the fan. That is not your fault nor is it your responsibility to babysit your partner. When you can’t be there, here are some great tips to get you and your partner through it. Hearing your voice can be soothing. If they don’t answer the phone, leave a message. If you don’t know what to say or talk about, just talk about yourself or your day. Send a photo of wherever you are, or whatever you are doing. This relays that you have stopped to take a picture to send it to them because you are thinking about them. You can also send a picture of yourself making stupid faces, or take a picture of a horrible drawing of a whale you just did. Anything that brings them back into the moment with you. You get the idea. Be available. You’re in a relationship, and if you were going through stuff, you know they would be there for you. If you don’t want to make yourself available, you probably shouldn’t be in this relationship. Obviously, if you are at work, this is an exception, but don’t decide it’s not your concern. You are partners so act like it. Make a plan. Don’t dwell too much on what is happening but tell them what is going to happen NEXT. Don’t ask for help making the decisions. Take the initiative to make the decisions about what is going to happen with the rest of their day. This will give them something to look forward to and is extremely helpful. Knowing that they will be taken care of is almost as good as being hugged right at the moment. Now you know the basic steps to help the prettiest or handsomest, sweetest and loveliest person in your world handle their sh*t.
This list is in no way exhaustive, but it is a really healthy start. Every person is different, and what they need in the moment is going to vary – so talk about it, gosh darn it. Remember that everything you do is deeply appreciated and it is strengthening your bond in ways nothing else could. You are also learning a lot about nurturing and being a better friend and lover. It’s not pretty, but it’s important.